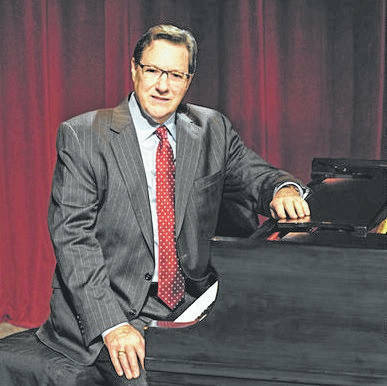 GALION — Squire Parsons, a nationally known singer-songwriter, will be in concert at Southview Baptist Church in Galion at 6 p.m. Aug. 4. The church is at 6904 Crawford-Morrow County Line Road. The public is invited. Squire is author of the song “Sweet Beulah Land” and many other gospel songs. He has been nominated by “Singing News” fans for “Favorite Baritone.” He was named Favorite Gospel Song Writer in 1986, 1992, 1993, 1994 and 1995. In 1988, he was named Favorite Male Gospel Singer. Parsons has been nominated for a “Dove Award” for male vocalist and songwriter. In 1990, he was presented the coveted Marvin Norcross Award, given for devotion to family, service to church, involvement in community affairs and contributions to the gospel music industry. Squire has also been a part of the popular “Gather Homecoming” video series. There will be no admission charge. A free will offering will be received to cover his expenses.